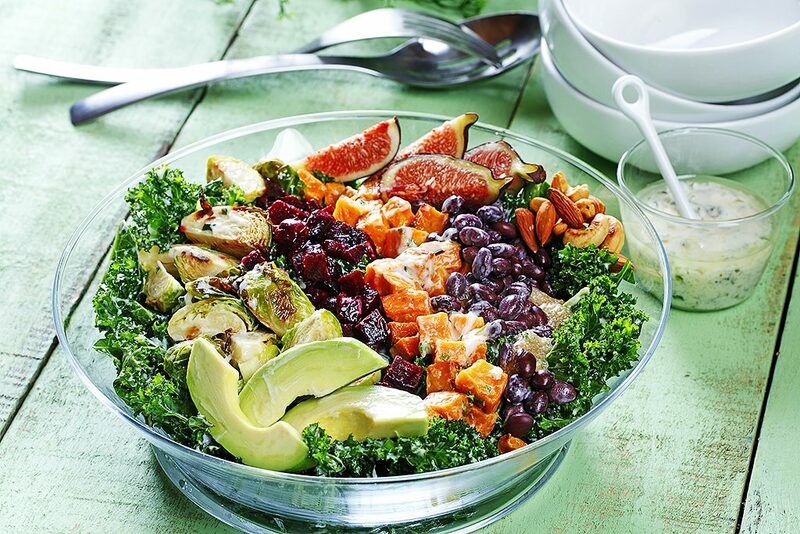 This colourful and hearty vegetable bowl boasts a cornucopia of flavour and nutrients. The figs provide a sweet touch while the pan-toasted cashews and almonds give this green bowl lots of crunch. For extra colour, try cooking the amaranth in beet juice. Recipe provided by Chef Alexandra Feswick. On a parchment-lined baking sheet, toss Brussels sprouts, sweet potato and beets with canola oil and distribute evenly. Tip: Keep beets separated to one side of the pan as they will leach out colour. Roast vegetables for 30 minutes or until tender. Set aside and allow to completely cool. Bring ¾ cup water (175 mL) to a boil in a pot. Add ¼ cup amaranth (60 mL). Cover, reduce heat and simmer until water is absorbed, about 10-20 minutes. Makes about 1/2 cup (125 mL). Measure out ¼ cooked amaranth and set aside. Store the rest in an air-tight container and keep in fridge for up to 3 days. 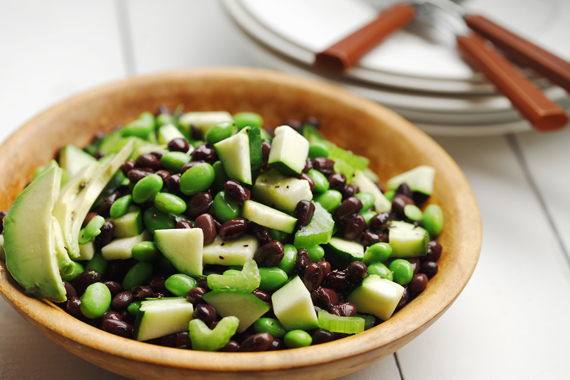 Add to salads throughout the week. In a glass jar or small bowl, combine canola oil, lemon juice and Dijon mustard, and mix together until well combined. Add in crème fraiche and garlic, mixing until well combined. Gently add in mixed herbs and fold into the rest of the mixture. In a large bowl, marinate kale with green goddess dressing and set aside. in a small frying pan, roast almonds and cashews over medium-high heat until lightly fragrant and lightly browned. Add in the remaining ingredients with kale and toss together. Divide ingredients equally among four bowls and serve immediately.